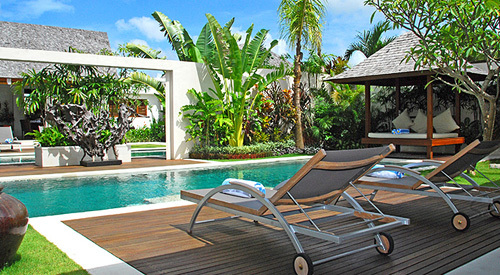 Saba embraces seclusion, relaxation and comfort within a tranquil setting. 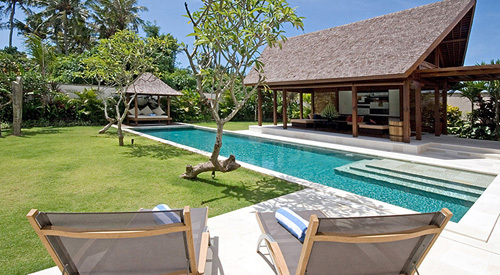 Surrounded by terraced rice paddies near Berawa Beach on Bali’s south-west coast, Saba is less than 10 minutes from the heart of Seminyak.This exclusive enclave comprises five independent, but inter-connectable one- and two-bedroom private villas, providing a total of nine large bedrooms, garden bathrooms, open-sided living and dining pavilions, well-equipped kitchens, swimming pools, lush tropical gardens and unique local artwork. All villas are fully staffed and include a professional chef and two cooks, who create delicious dishes from a central staff kitchen. 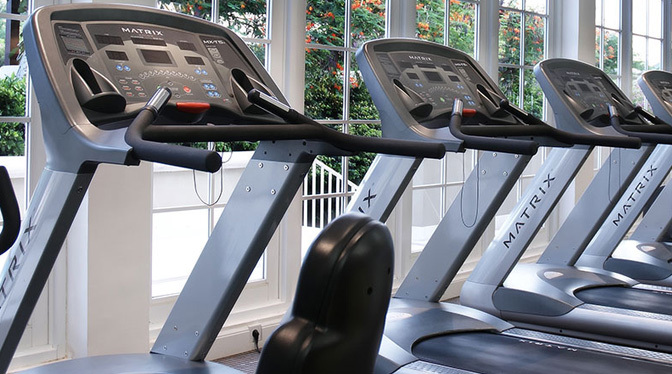 Guests also have full, complimentary access to the nearby Finns Recreation Club. 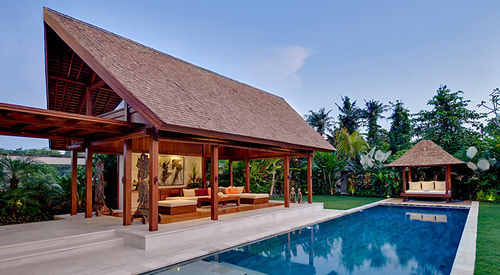 Villa Bima features a large air-conditioned dining room and integrated, well-equipped, modern kitchen. 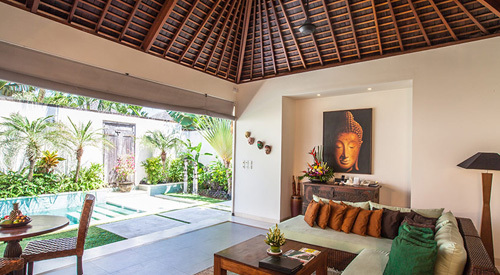 Intimate but bright and airy, 1-bedroom Villa Arjuna comprises an open-sided living and dining pavilion complemented by a well-equipped kitchenette, separated by antique double doors from the spacious bedroom. 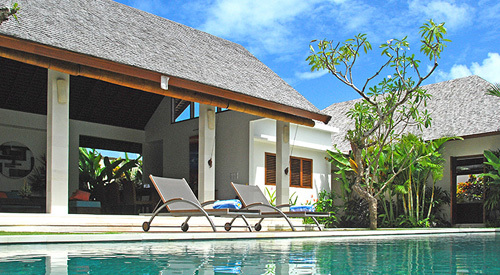 As well as two spacious ensuite bedrooms, Villa Nakula has a large open-air living/dining area, complemented by a separate, fully equipped kitchen. 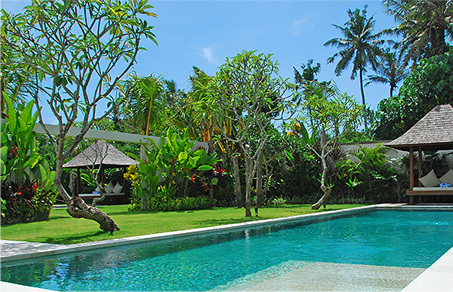 As well as two spacious ensuite bedrooms, Villa Sadewa has a large open-air living/dining area, complemented by a separate, fully equipped kitchen.